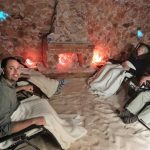 Don’t wait to start those New Year’s Resolutions until January – start taking responsibility now for your health.� The holidays are a special time of year to spend time with family, friends and co-workers; so why not do some of those activities at Be Happy Yoga & Salt Cave?� The yoga studio and salt cave are in different rooms at Be Happy plus we have two treatment rooms.� The yoga room features special cushioned floors for maximum comfort! 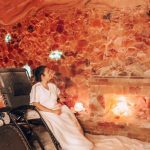 The salt cave is a room filled with Himalayan salt rocks. 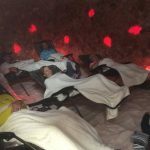 There is loose salt on the floor (feels like sand), chunks of Himalayan salt on the walls all around and a generator that sprays salt and minerals into the room. 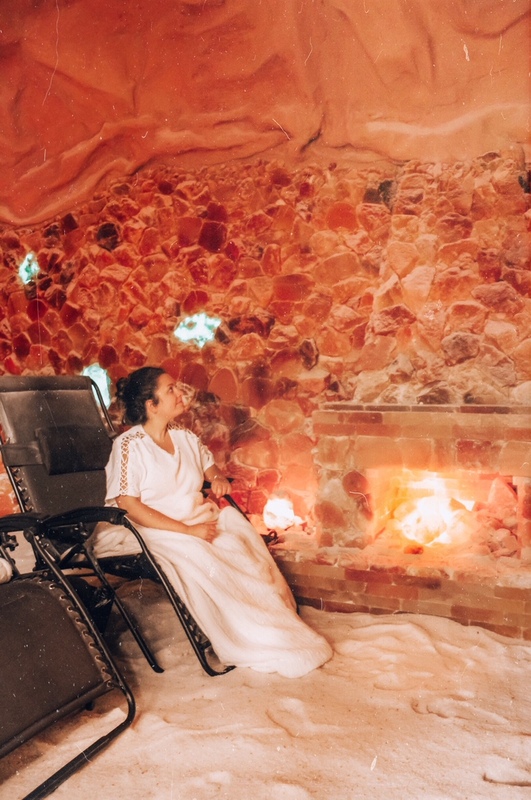 The salt cave is filled with six tons of Himalayan salt – quite the site to behold! 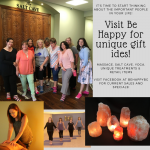 Please come by for a tour – we’ll be happy to show you our entire facility – everyone has been wowed when they see this little haven of peace and relaxation tucked into a strip mall setting!� The Open House will feature all of our various modalities from yoga to massage to the salt cave and all of our authentic Himalayan salt lamps and accessories with great sales as well!� Also, we’re collecting new coats, toys and clothing for Potter’s Childrens Home so please bring something for our collection and share some Christmas joy. Located in the Kroger shopping center at the corner of Campbell Lane and Nashville Rd., Suite 104,�270-799-8070.� Check social media sites at behappybg for further information and events.